I love ridge gourd. 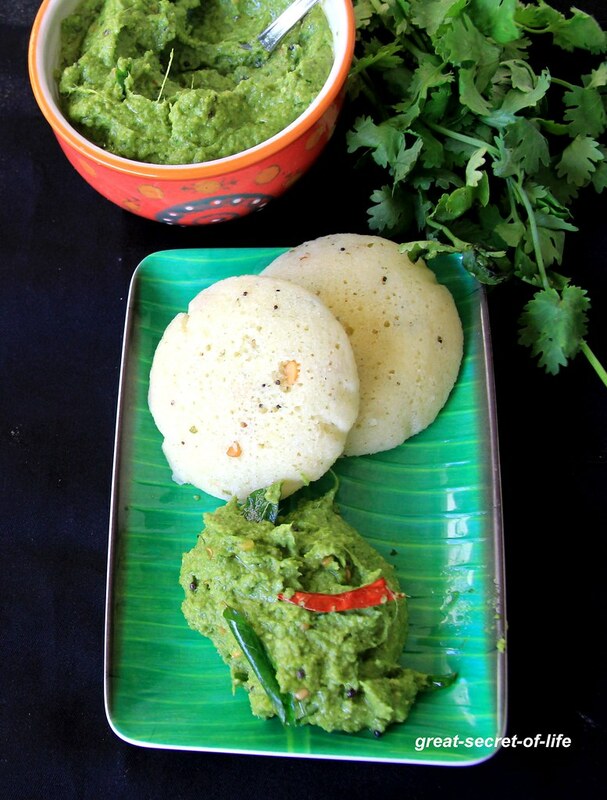 My mum always makes this chutney for idli. 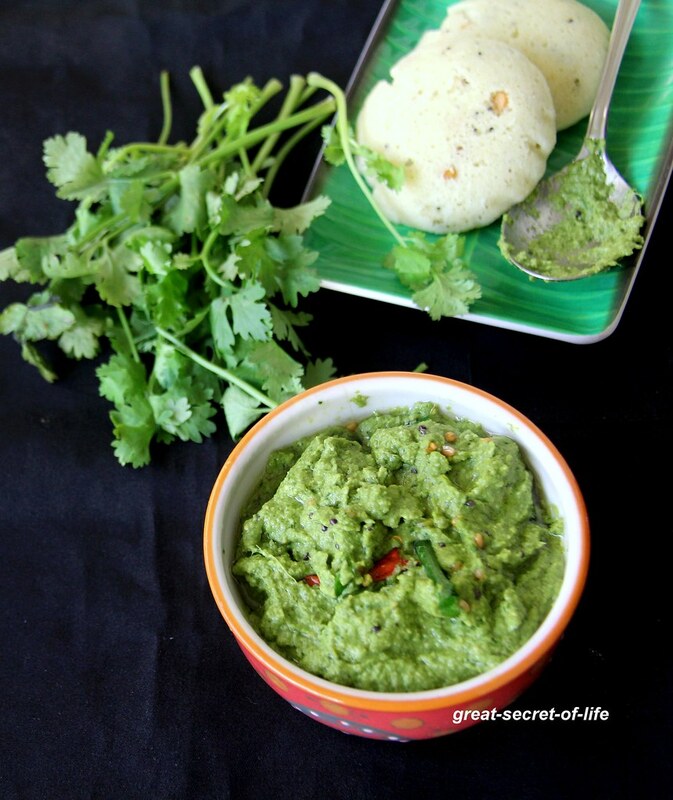 If you make it with less water, you can have it with steamed rice. I love my mum's version. 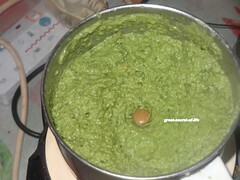 She adds coconut and coriander leaves and it gives a nice flavour to the chutney. It also helps change the slight bitterness of the skin. You should fry until it is fully cooked. Recently, I read that the skin has a lot of vitamins so you can use it some recipe like this instead of throwing it out. 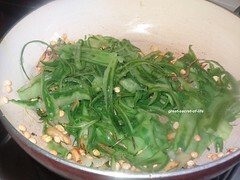 Add ridge gourd skin and salt, and fry until it is cooked. 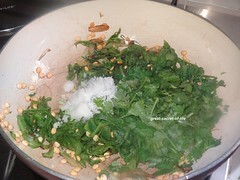 Add coconut and coriander leaves. Fry for two minutes. Switch it off. 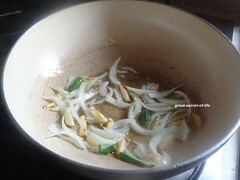 Add tamarind paste and let it cool down. Grind to smooth paste. Heat rest of oil. 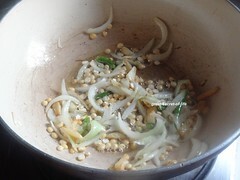 Add mustard seeds and let them pop. 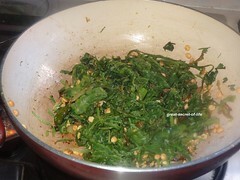 Add urad dal, curry leaves . Pour this on to the chutney. 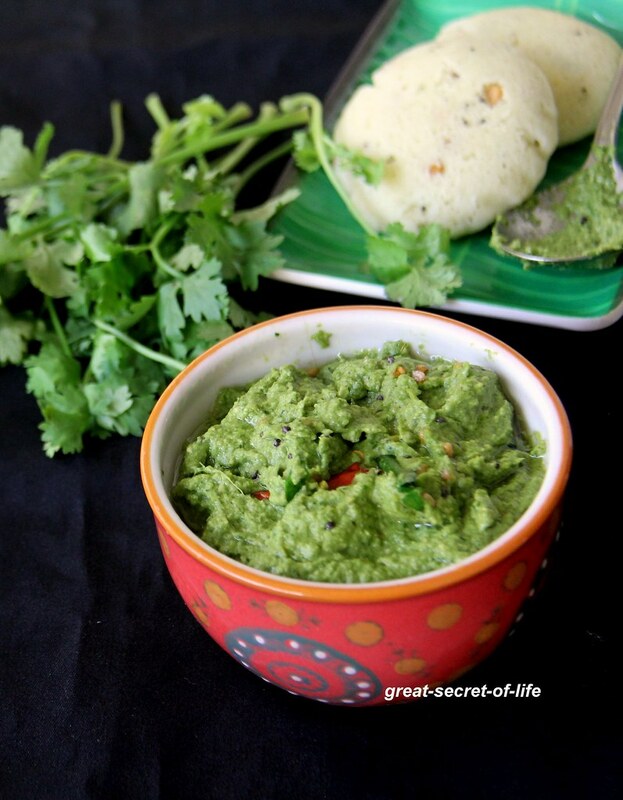 Serve it with idli, dosa, or steamed rice.